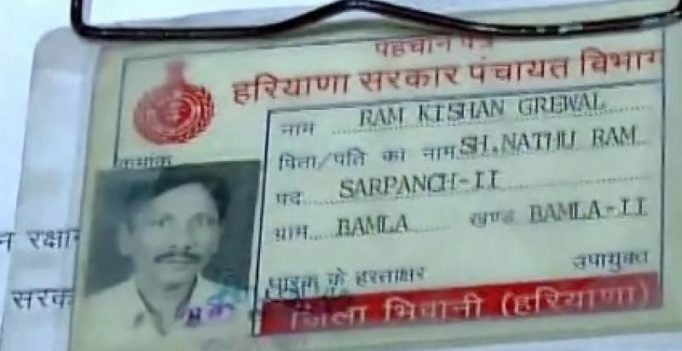 New Delhi: Seven days after ex-serviceman Ram Kishan Grewal allegedly committed suicide on November 1 over “One Rank One Pension” (OROP) issue, the government had credited the arrears of Rs. 53,978 to his bank account, Lok Sabha was informed on Tuesday. On enquiry regarding payment of the benefits of OROP to him, the pension disbursing bank has informed that he was drawing pension of Rs. 22,608 per month, Defence Minister Manohar Parrikar said in a written reply. “He was entitled for revised pension of Rs. 25,634 per month, under OROP. The total amount of arrears of Rs. 53,978 on account of implementation of OROP has been credited to bank account of late Ex-Subedar Ram Kishan Grewal on November 8, 2016,” he said. The Minister said Rs. 3020.97 crore has been spent this financial year as on November 12 on account of payment of arrears under OROP. 70-year-old Grewal, a resident of Haryana’s Bhiwani district, ended his life on November 1 by consuming poison on the lawns of a government building in Janpath.